The Ecumenical Council of San Diego County is an association of Christian congregations established, maintained and conducted to assist, extend, coordinate and unite the work of churches and social agencies in the service of God and community through dialogue, prayer, service, study and worship. 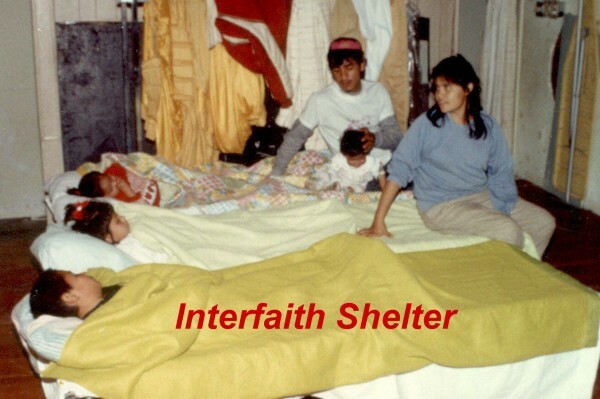 Programs also include other faith traditions and include Interfaith Shelter Network (Rotational Shelter & El Nido). The Network involves 120 congregations of all denominations county-wide in a Rotational Shelter program. About 60 of the congregations host the program in their facilities for two or four weeks a year and the remainder serve in a valuable support role, providing volunteers for meals and overnight hosting, transportation and donations. Through neighborhood congregations linking with others, people are sheltered where there are no shelters and receive the understanding and support of congregations when previously all they knew was fear and uncertainty. Congregations benefit by getting to know homeless individuals personally and the mutual sharing of stories is beneficial to both. This is a practical, manageable way to serve for both host and support congregations. Congregations host the program for two weeks at a time, usually once, but no more than twice a year. The volunteer and meal support they receive from neighboring congregations is invaluable. Only 12 guests at a time generally stay in the congregation facilities. At the end of two weeks, the whole operation -- cots and guests -- rotates to another area congregation. Guests can stay up to eight weeks in the Network. Donation information on home page.